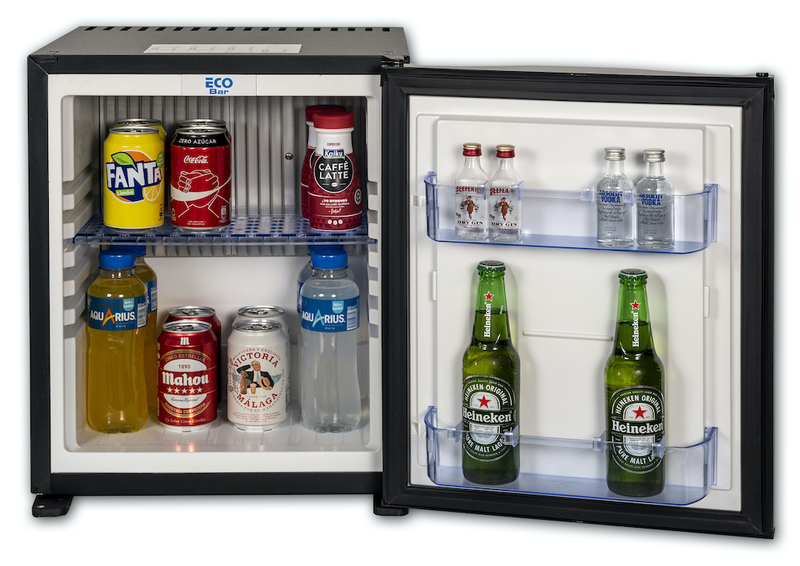 The ECOBAR hotel minibars provide a first class service for the guest. They are equipped with the latest, low consuming, absorption technology. They provide completely silent refrigeration, without any vibrations, without any moving parts or fans. This characteristic is essential for any hotel room minibar, where the guest’s rest and comfort must be guaranteed. 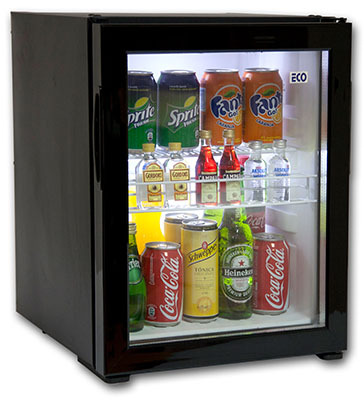 In addition, the fact that there are no moving parts, offer a maintenance-free operation, extremely high reliability and a long lasting appliance with a lifespan considerably longer than other minibars with different type of refrigerating technologies. 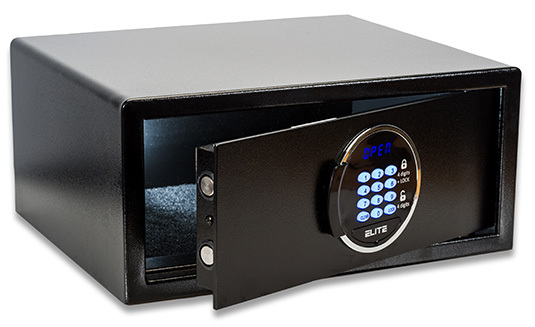 All our minibars are outfitted with electronic thermostats with intelligent autodefrost technology for a better interior temperature regulation. 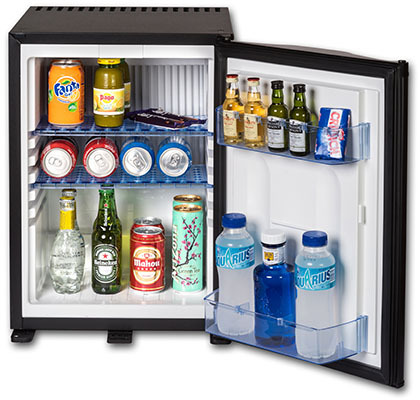 The different minibar models in the ECOBAR Classic product line are designed for any type of hotel. 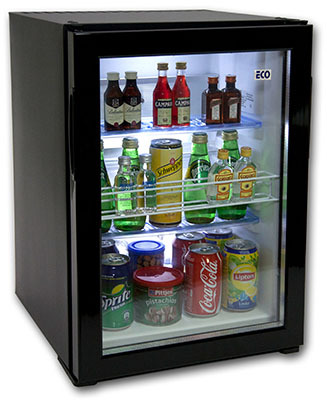 These minibar models are the most sought after, due to their excellent quality / price ratio. 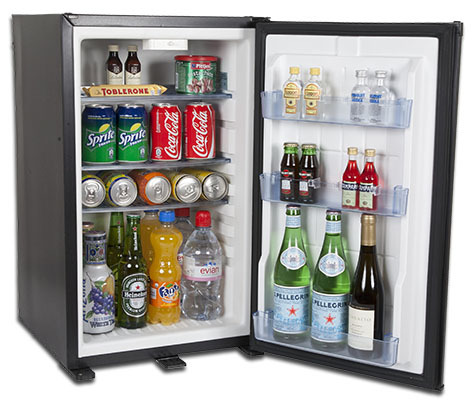 The minibars are equipped with a low consuming LED type interior light as well as a door lock. 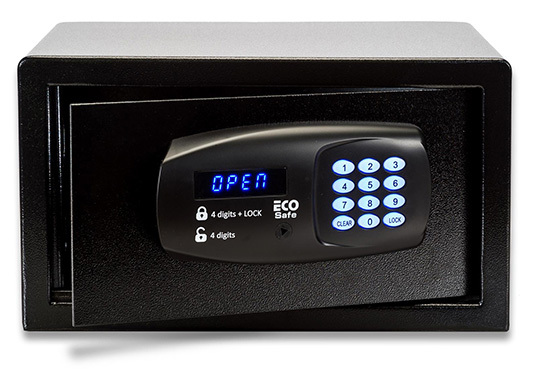 The minibar door lock can be easily disengaged if it is not required. 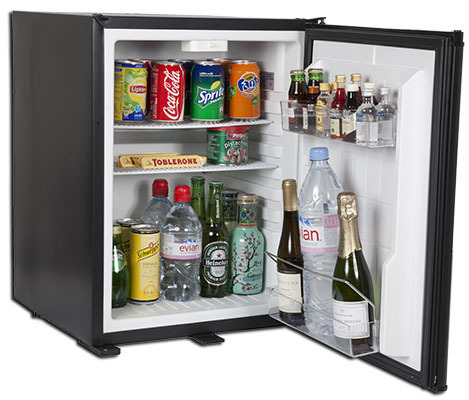 For the hoteliers that look for a more elegant minibar, we offer the ECOBAR GD, a glass door minibar. It is a perfect alternative to increase the sales and guest satisfaction. 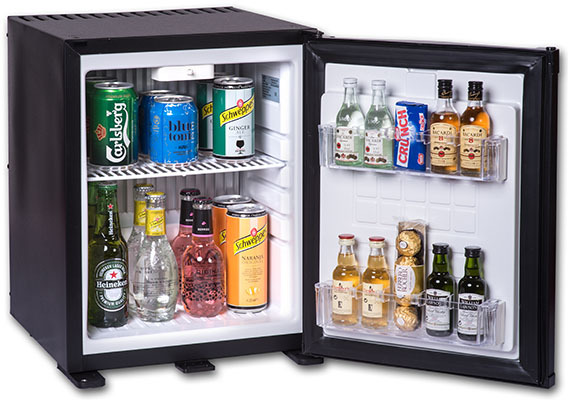 These minibars are also equipped with a low consuming LED type interior light that is turned on when opening the minibar door.